Administrator – gives access to all TextMagic features, including payments and sub-accounts management. Regular user – gives access to all TextMagic features, except payments and other sub-accounts management. You can also manage sub-account permissions as necessary. Click on the sub-account that you want to manage. Enable/disable any of the permissions and actions listed by clicking the ON/OFF switch. Permissions are the key components of your account security. Permissions help you control user access to the service if you cannot fully trust that person. 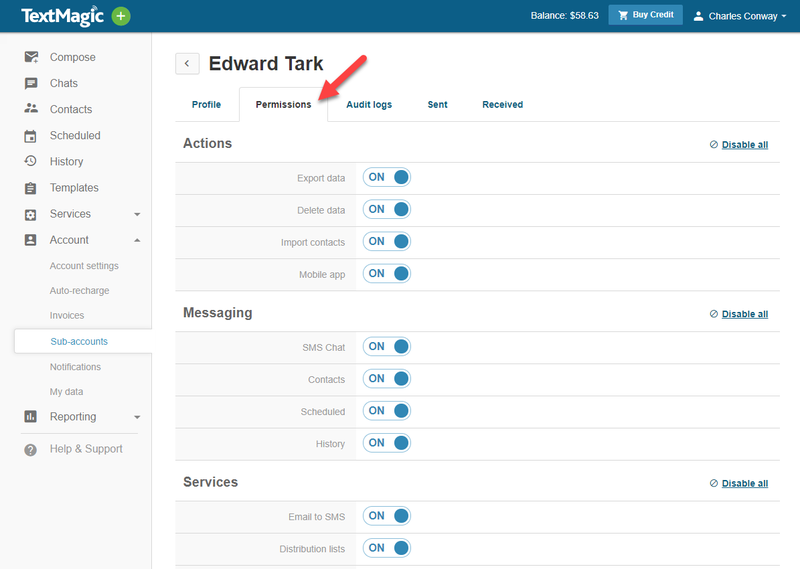 Permissions let you choose the most suitable tools and messaging options for your team members.